“We are all consumers. 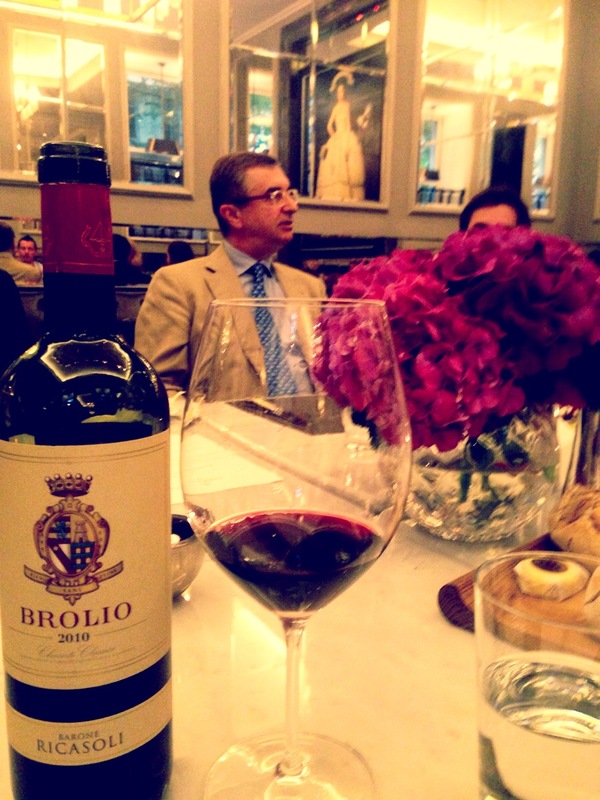 Wine should be a pleasure and enjoyable…” That in a nutshell is the philosophy of Barone Francesco Ricasoli who was hosting a Brolio wine dinner recently at the Corinthia Hotel here in London. Francesco is the owner of Barone Ricasoli vineyards, set in the hills of Tuscany, and the 32nd Baron Ricasoli. The family have been linked to wine since the 12th century and Francesco is doing his best to continue the family tradition. His ancestor, Baron Bettino Ricasoli was instrumental in promoting and researching the wines of Chianti. Due to Baron Bettino’s work, Brolio wines were first awarded gold medals at the Paris Exposition in 1867. Francesco took over the family estates in 1993 and since then he has continued research and experimentation to bring out the best in his vineyards. The wines get their name from the Brolio castle that overlooks the vineyards. 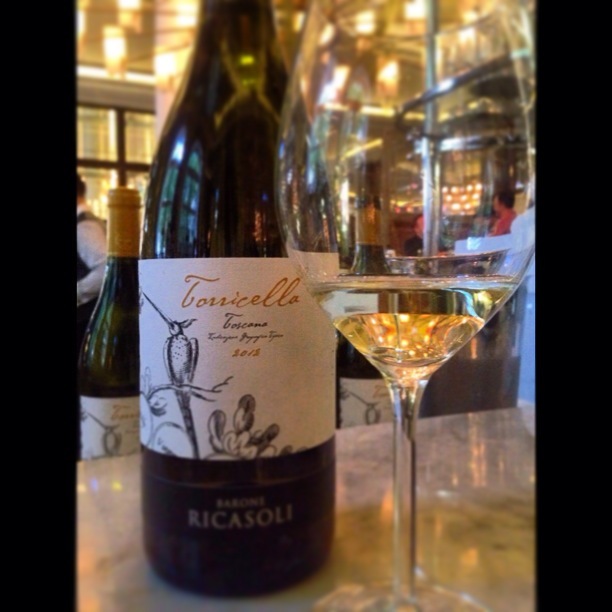 Fittingly, as it was World Chardonnay Day, we started dinner with the 2012 Torricella Chardonnay. The wine has a small amount of sauvignon blanc in the blend but was dominated by the chardonnay. The wine had a subtle nose of citrus fruit and a bit of toasty-ness to it. On the palate, though, it was very agreeable, having loads of tropical fruits, a creamy mouthfeel and a mineral finish. A delicious white wine to start the evening. The Chiantis were what we were there for and the Brolio wines did not disappoint. Barone Ricasoli Brolio Chianti Classico 2010 was full of leather and spice, having a black cherry fruit profile with a smooth dark chocolate finish. Francesco said that he wants to deliver quality with these wines. I’d say you could definitely taste the quality. 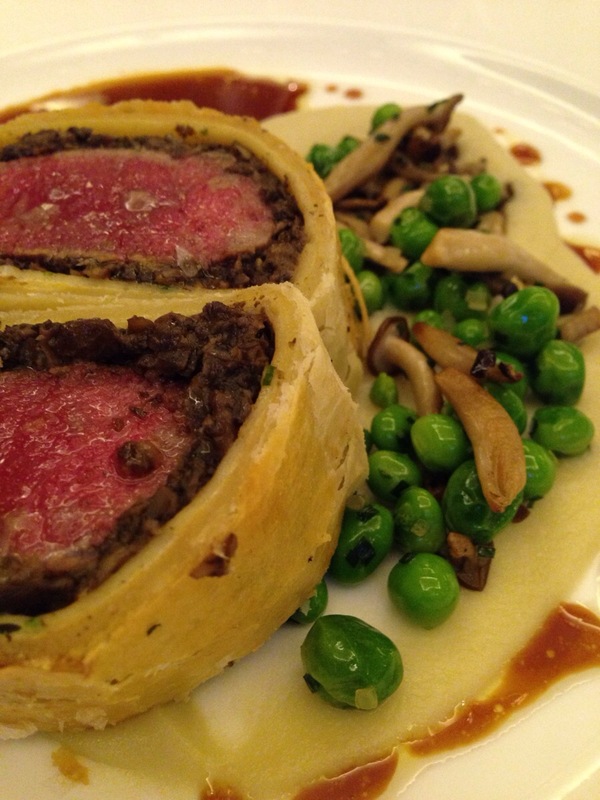 The wine was paired with Spring Lamb in croute which was a fine match, the lamb tender and juicy, the wine working harmoniously with it. 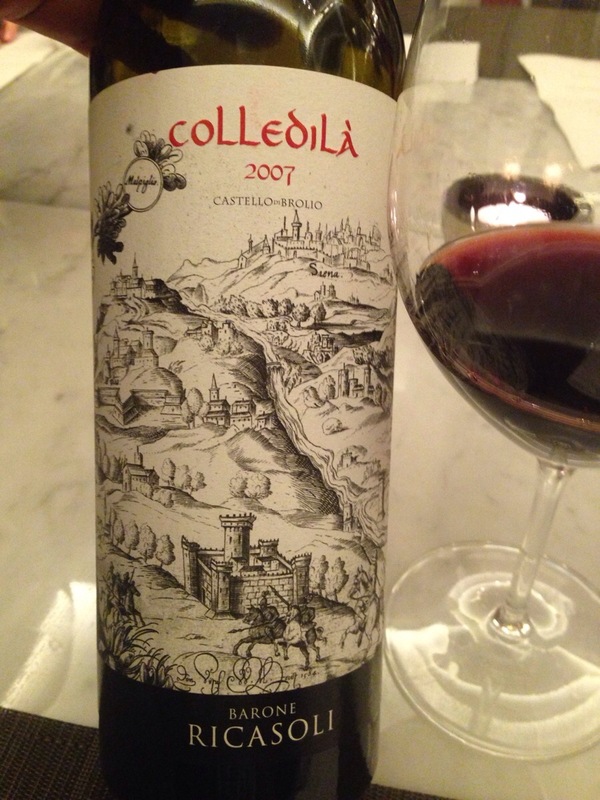 The Barone Ricasoli Colledila 2007 is one of their single vineyard wines and 2007 was the first vintage. 100% sangiovese, the aim of this wine is to showcase the grape. It’s rare to find a 100% single vineyard sangiovese in Chianti. My notes say the nose had marmalade and sweet ripe fruit aromas with a hint of mint, on the palate, smooth and silky, fresh, complex and balanced. Each time I went back to this wine, I found something new. An interesting side note, the label is an old map from the 16th century that details the lands of Ricasoli. 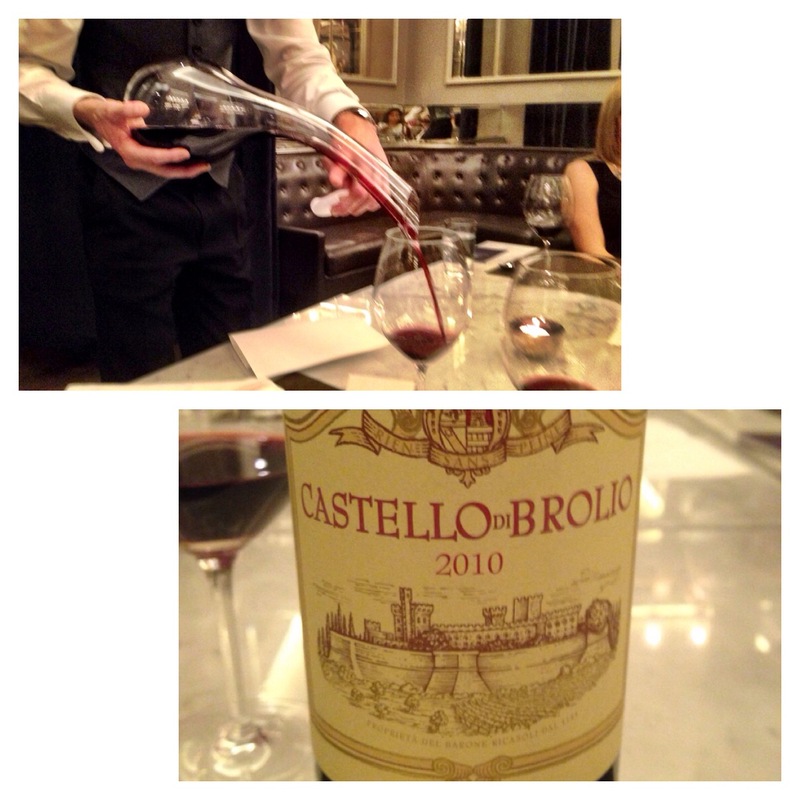 The last wine of the evening was the Barone Ricasoli di Brolio 2010. This is one of their top wines and in it, Ricasoli are hoping to show the essence of their history and vineyards. It is a blend, 80% sangiovese, 10% merlot and 10% cabernet sauvignon, Francesco said that the blend depends on what they want to add in not how much. So, every year has a different blend. The 2010 had a very intense nose, licorice being the first thing to hit me. The first thought that popped into my head was it smelled like a box of Good and Plenty, but in a good way! Deep and powerful, it also had a velvety quality and was bursting was dark fruits, spices and even a bit of Christmas pudding on the palate. However, it still retained a freshness which kept it from becoming cloying. All too soon it was time to end the evening but I did enjoy Barone Ricasoli wines. Fresh, pure, quality driven wines that definitely left me satisfied. 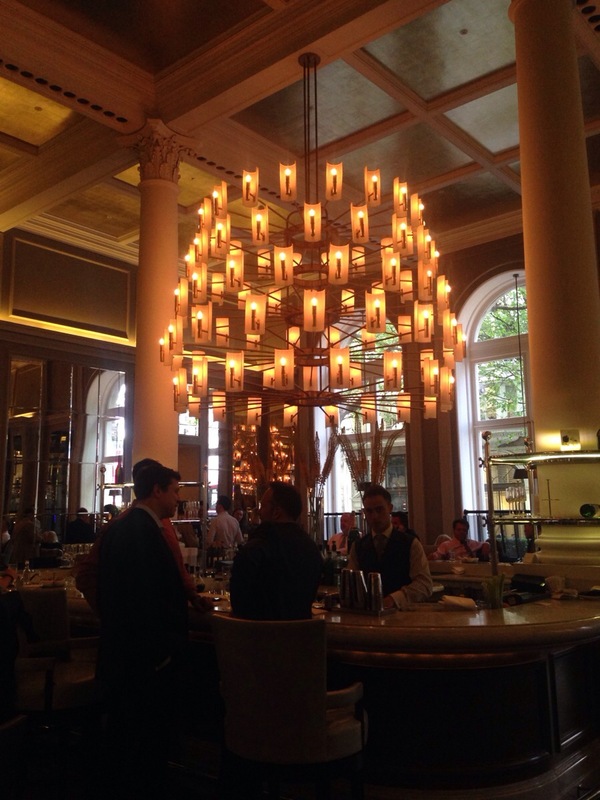 The Corinthia Hotel hosts a series of quality wine dinners with the winemakers or owners. The next one is in June and will be featuring a small champagne producer. Visit the hotel website for more information.